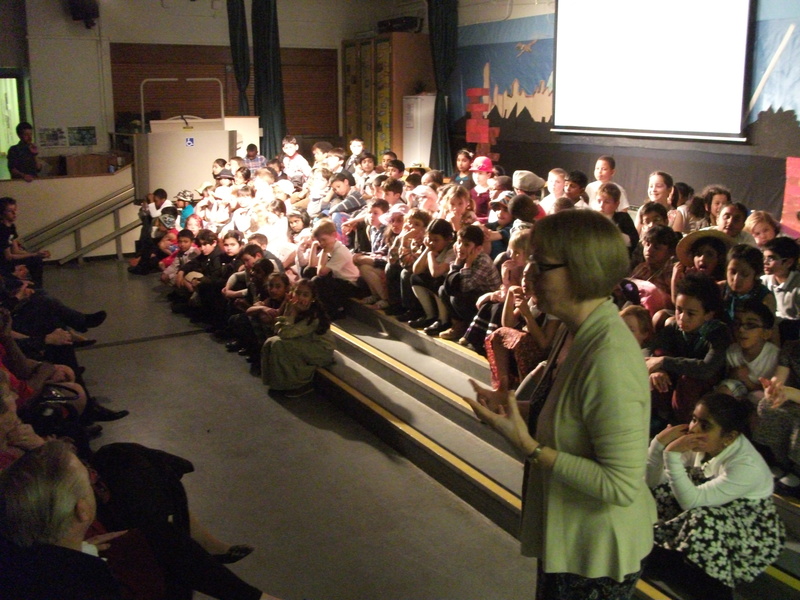 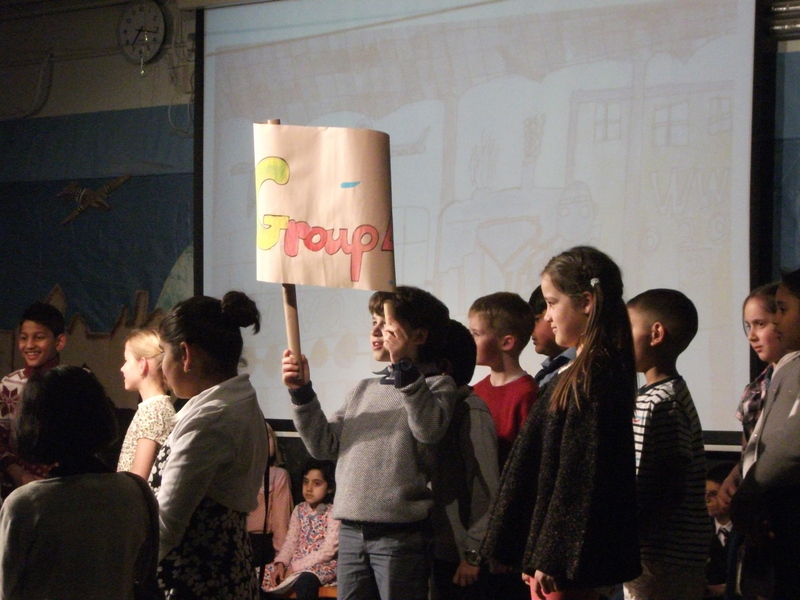 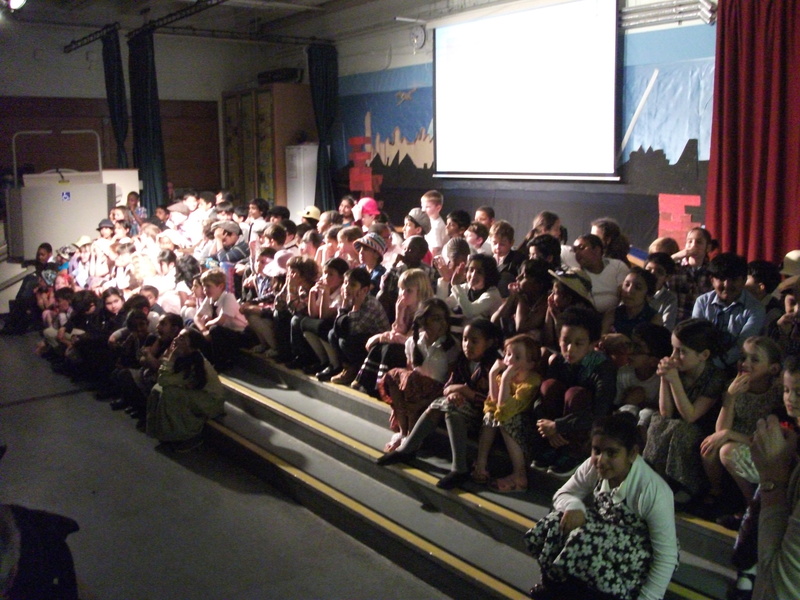 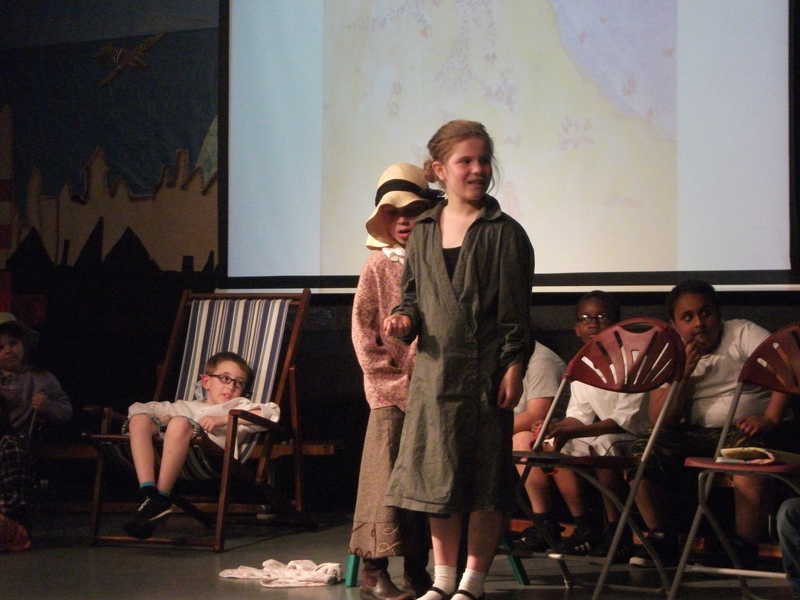 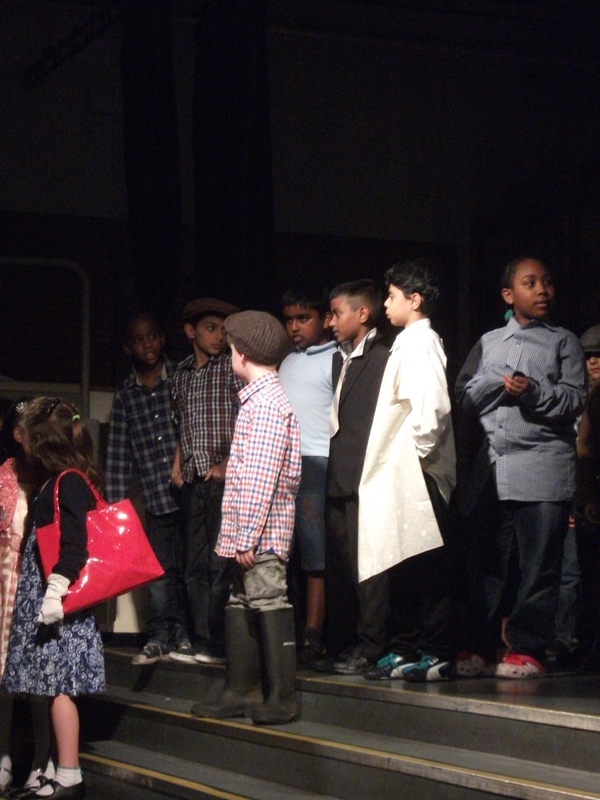 Year 3 and 4 performed brilliantly on Tuesday and Wednesday, with their creative and heart-felt adaptation of Evacuate – the story of children evacuated from towns and cities to the countryside during the second World War. 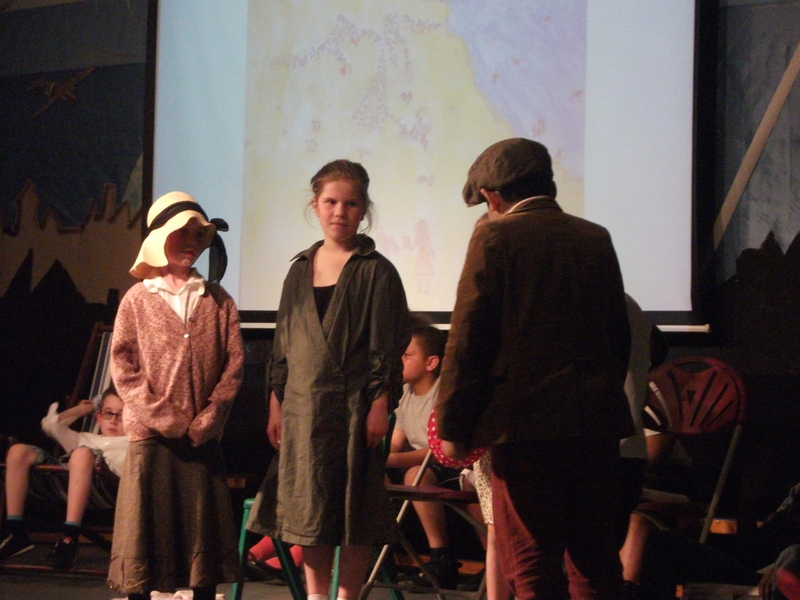 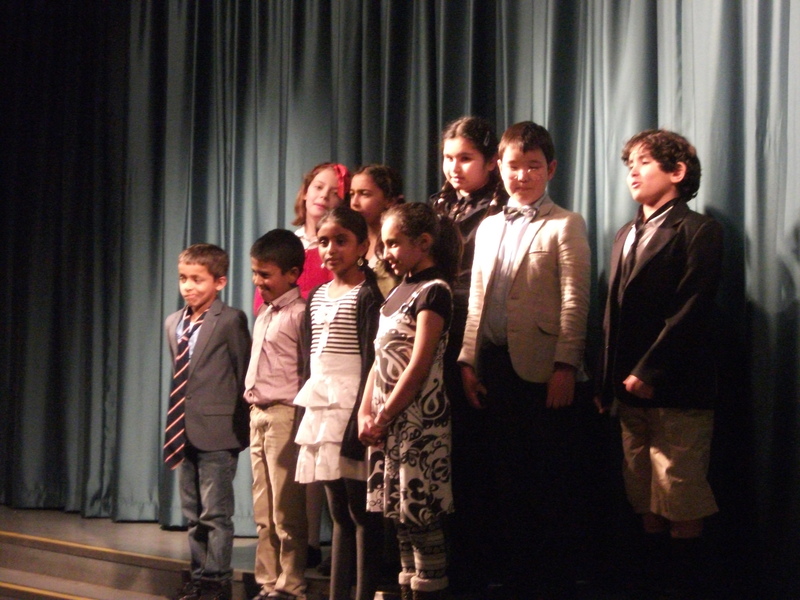 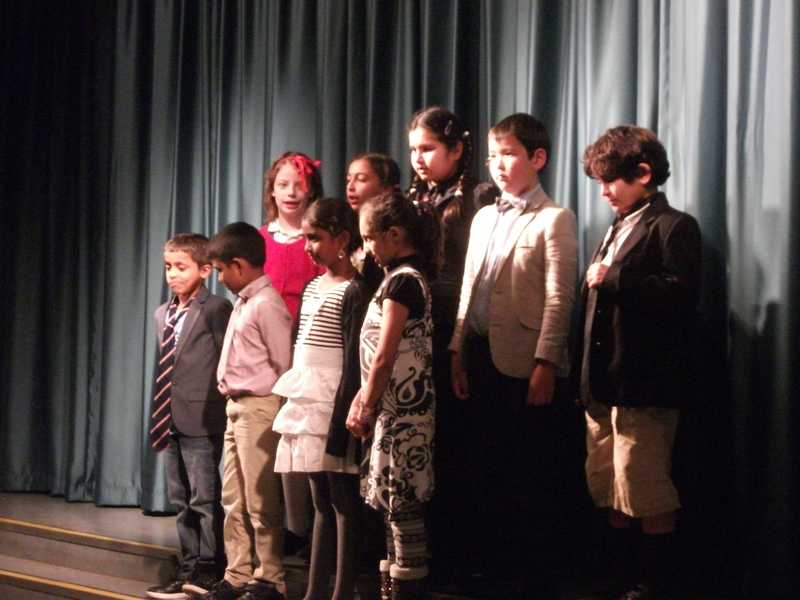 The singing and acting were truly superb, a fact commented on by very many parents. 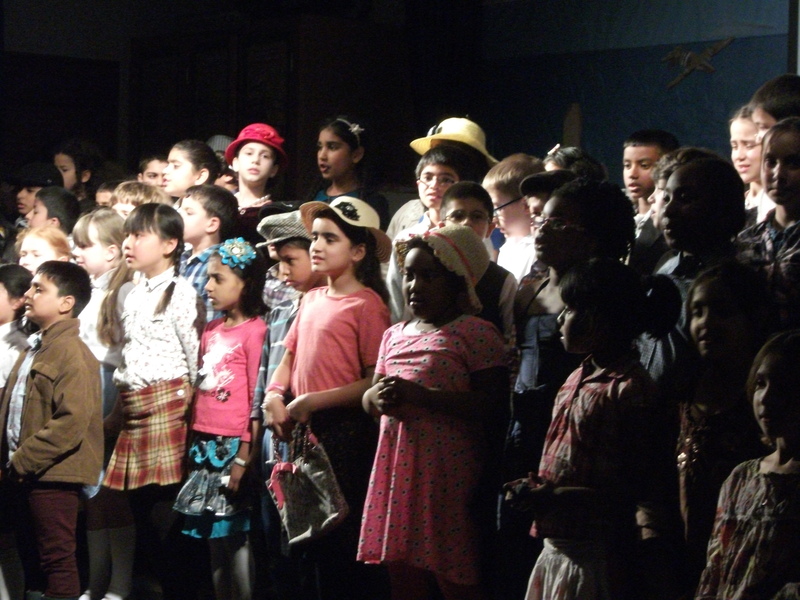 Well done to all the children and staff for a truly memorable performance! 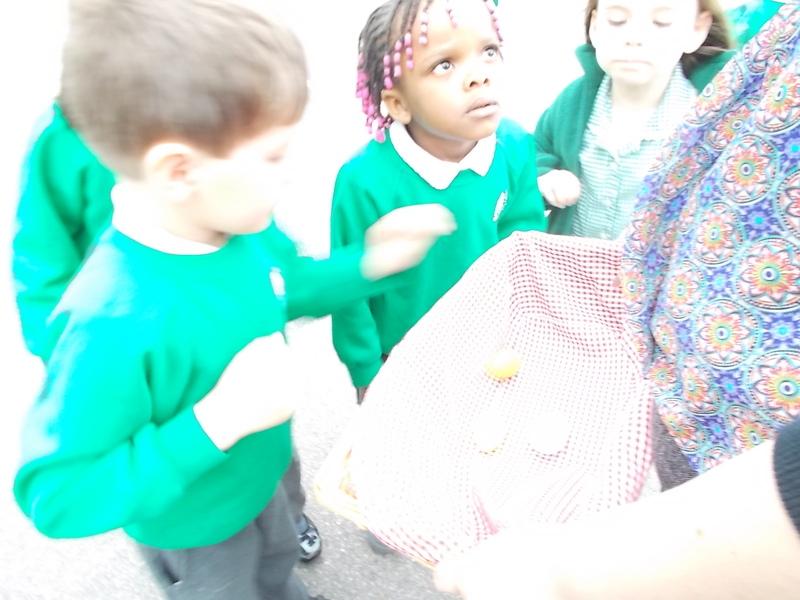 In anticipation of a fabulous Easter break, all the children have taken part in a range of fun, eggciting and eggcellent activities today. 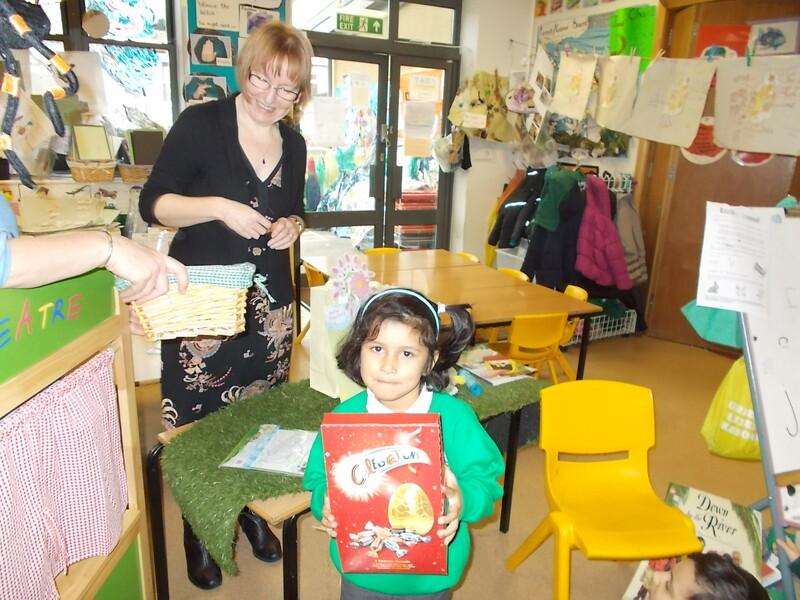 The Easter bunny was very generous and hid eggs in the playgrounds for our Easter Egg hunt, followed by a raffle of really eggstra special Easter gifts. 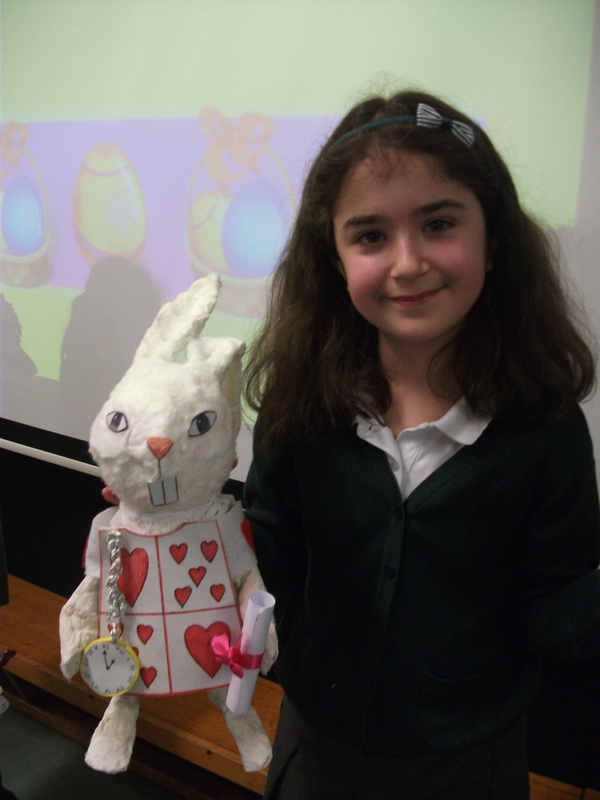 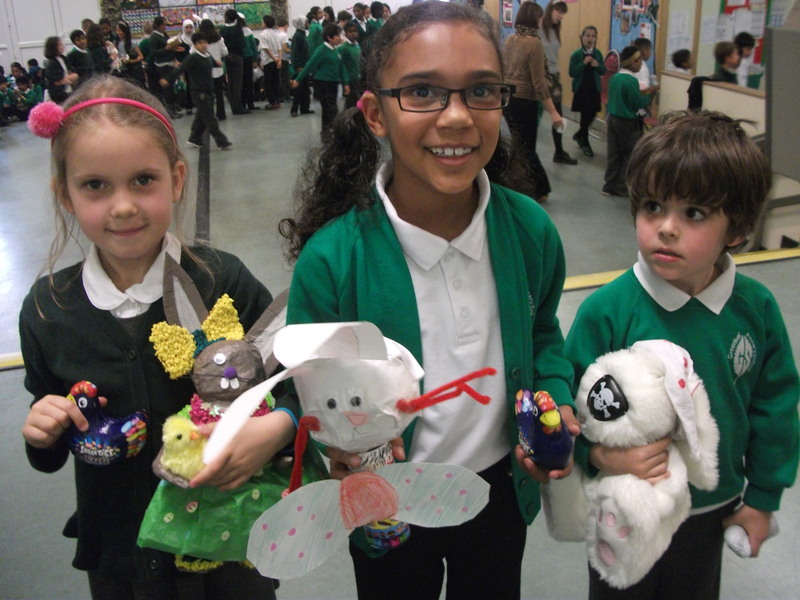 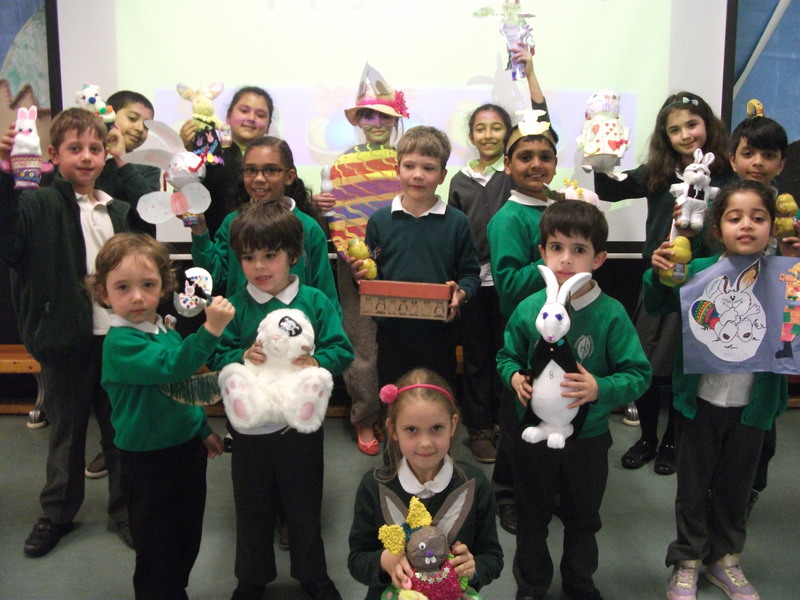 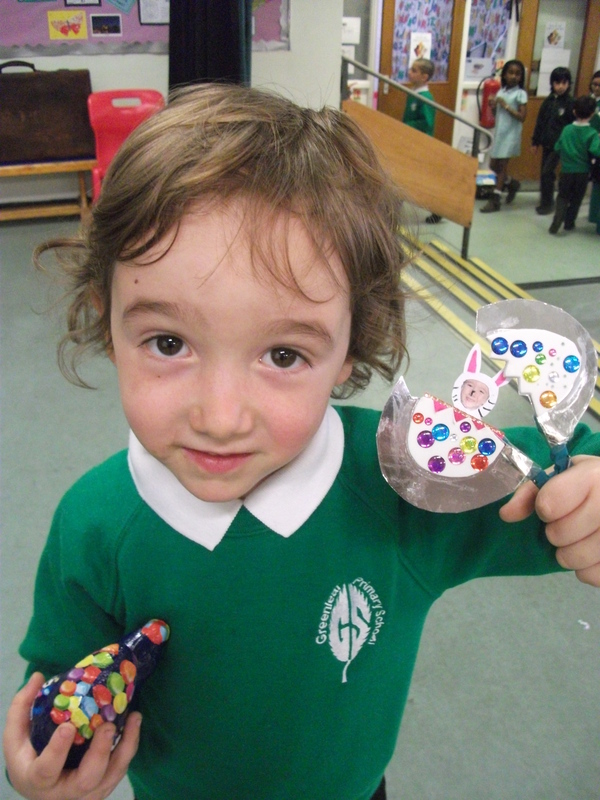 There were more prizes to follow in the Easter assembly for the winning Easter Rabbit outfit designs. 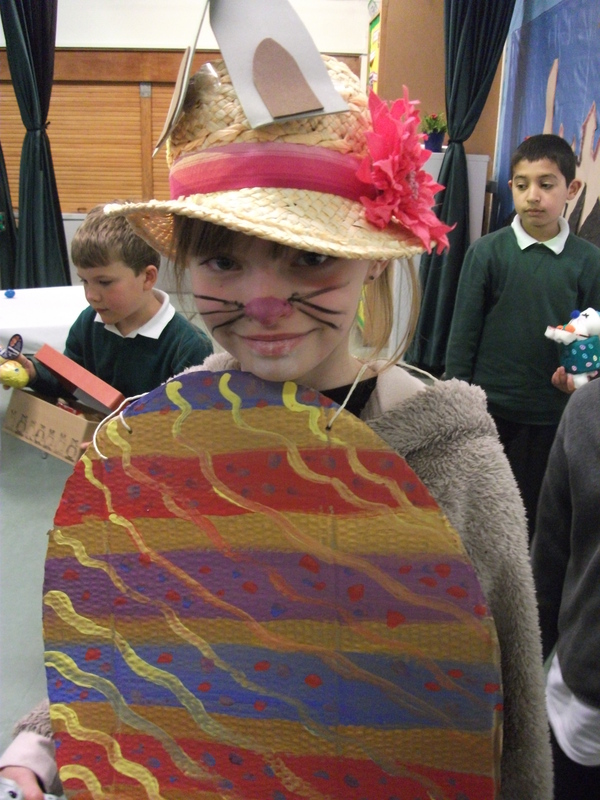 See the fabulous photos below!